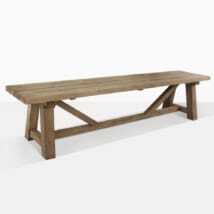 Should you want to add character to your dining set or perhaps you wish to enjoy some lovely, robust seating in your garden then this rustic X-Leg Reclaimed Teak Bench is right for you! 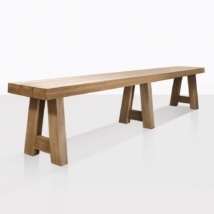 Creating a beautiful collision between traditional and modern styles; the X-Leg Reclaimed Teak Bench is a wonderful addition to our new collections at Teak Warehouse. Long panels of Reclaimed Teak make up the seat form, with a chunky ‘X’ shaped leg, resulting in a look that is satisfying and stylish. 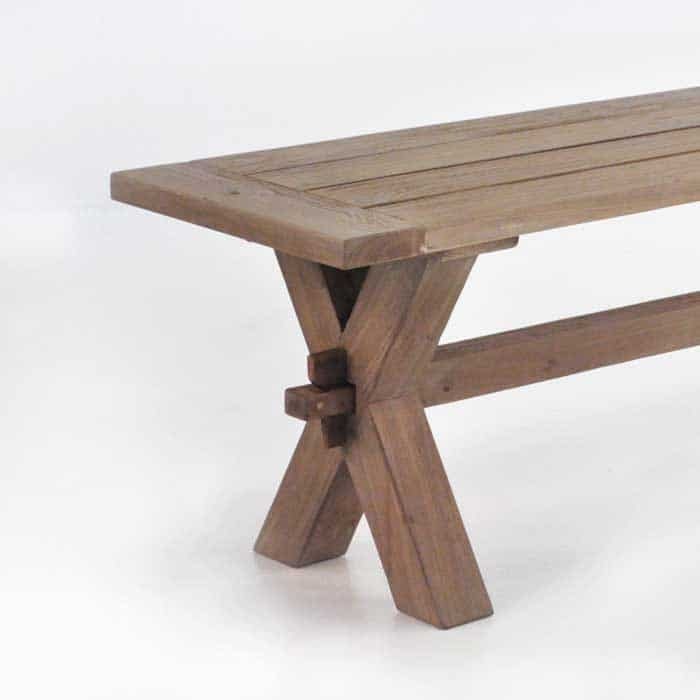 The X-Leg Reclaimed Teak Bench is in keeping with our ‘Rustic Range’ featuring both X-Leg and 4 Legged versions of the same robust, stunning outdoor dining furniture, full of character. Made out of recycled teak, and finished with a soft, warm wood stain, these pieces will add a rich flavor to any setting. 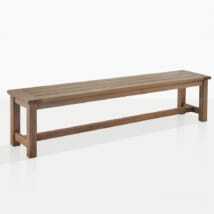 The craftsman style bench is beautiful and made with thick reclaimed teak that is sturdy and yet pleasing to the eye. Reclaimed Teak is an exciting new product that we is featured heavily in our chairs, benches, tables and now deep seating. It is recycled from buildings, flooring, other furniture. 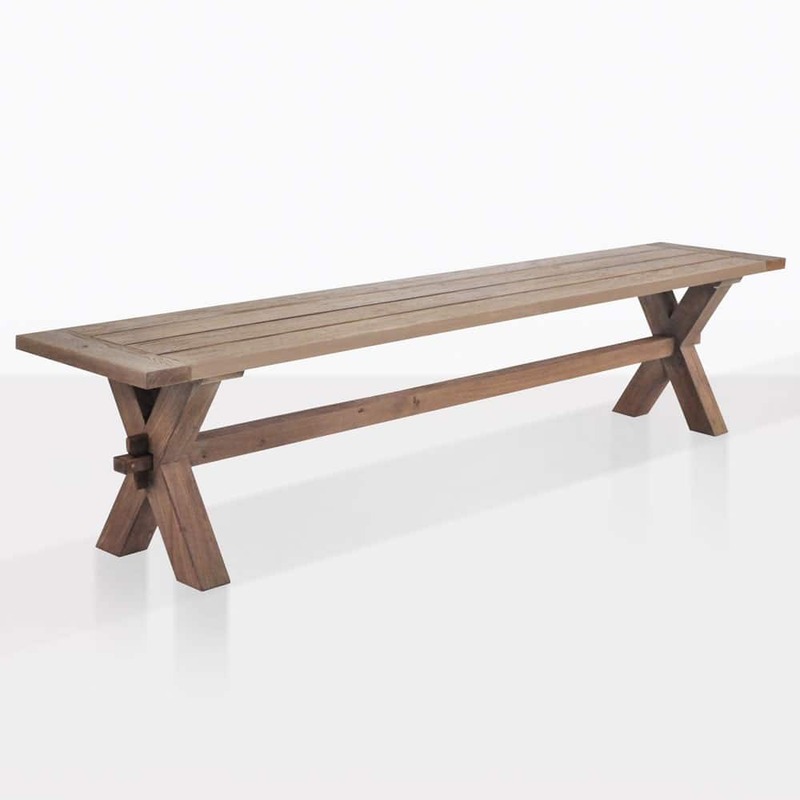 It is teak with character, with a history all of its own and configured into beautiful ‘new’ pieces to become an important part of your outdoor seating! 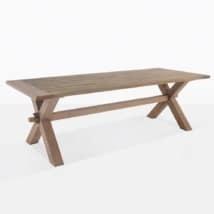 Teak Warehouse is proud to house many options for outdoor furniture, choose from A-Grade Teak – our signature product and a beautiful one at that – you will see A-Grade throughout our entire catalog. 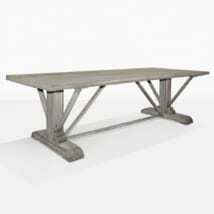 At Teak Warehouse we now offer other marine grade items to make it easier to customize your outdoor set up. Whether you wish to adhere to mid-century properties, or follow a more traditional approach – we can help! Our sales assistants are in store every day and excited to help you configure your space. So whether you are in need of patio furniture, something for the pool, or perhaps an outdoor bar area; we can help you find the best items to fit the nature of your space. Choose from #316 Stainless Steel, Raw Concrete, industrious mesh fabrics, Resin, and Aluminium in a range of sun loungers, day beds, sofas, loveseats, relaxing chairs and dining sets – we have everything you need! 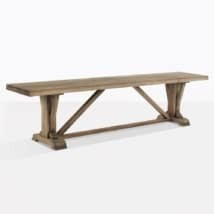 The Rustic X-Leg Reclaimed Teak Bench is the perfect complementary piece to the matching Rustic style X-Leg Dining Table. Pair two benches with the Table for a relaxed seating area or add a unique touch by using 1 bench and adding some of our outdoor wicker dining chairs for a charming and contemporary look. Place it on its own as a statement piece in your garden or use at your indoor setting for added texture. Teak Warehouse’s Rustic X-Leg Reclaimed Teak Bench is an homage to traditional furniture with a modern edge and constructed with contemporary ideals in mind. With marine grade glues, fixings and bolts, this is a piece that will last in the great outdoors while holding a well loved feel!